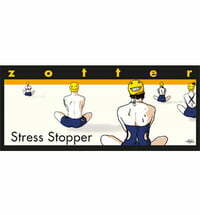 On your marks, get set, go! 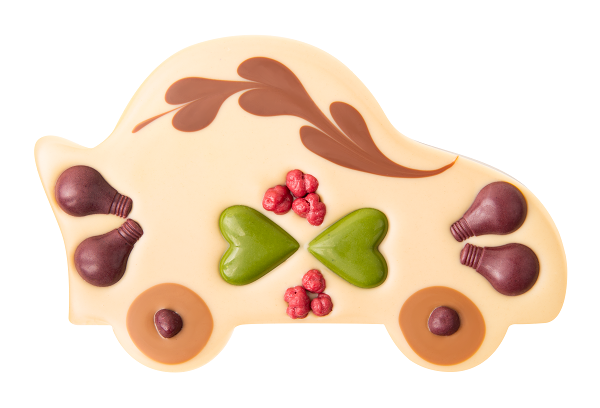 The chocolate car is made of white chocolate and will seduce your palate in a moment. 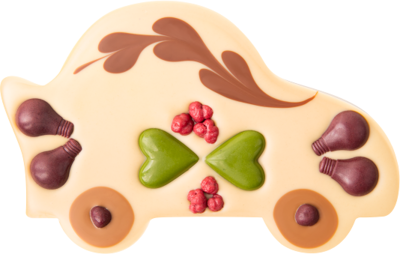 The cheeky embellishment of four blackcurrant chocolate lights and two green tea chocolate hearts make for a great eye-catcher. 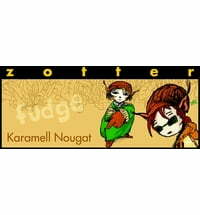 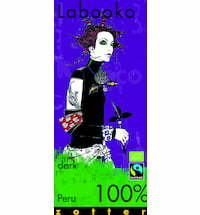 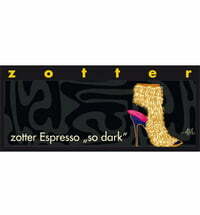 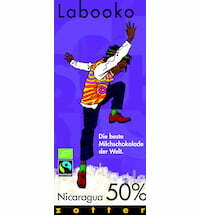 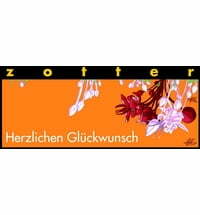 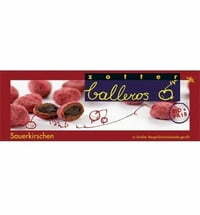 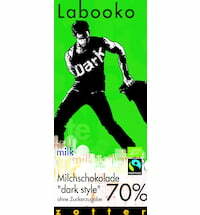 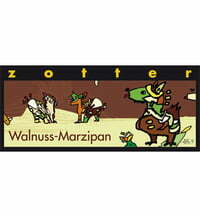 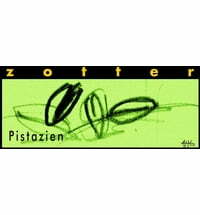 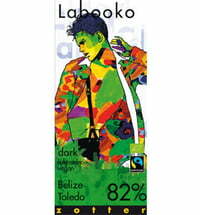 Zotter Chocolate Labooko "100 % PERU"
Zotter Chocolate Caramel Nougat "Fudge"
Zotter Chocolate Balleros "Sour Cherries"